Toria’s Top Ten: 10 Best Vegan Junk Foods! A lot of non-vegans have this misconception that vegans eat lettuce and other plants all day long…and that’s just not true! Of course, there are many vegans who do only eat raw plants every day, but a lot of us treat ourselves, too, with some occasional vegan junk food! I would say most vegans didn’t give up eating meat, dairy, eggs, etc. because they didn’t like the taste. Most of us used to eat those ingredients because we actually liked the taste. But once we found out about the awful animal cruelty and suffering involved in the animal agriculture/food industry, it became important that we not contribute to it…and that means not eating any animal ingredients. We’re lucky, though, to have all kinds of vegan alternatives available to us today. Even as vegans, we can still experience the tastes we like, but in a way that’s ethical and cruelty-free. 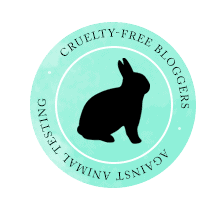 Here are a few of my delicious, cruelty-free recommendations! These burgers are amazing! Before becoming a vegetarian over five and a half years ago (and now vegan), one of my favourite “treat” foods to eat was a McChicken sandwich. To me, these burgers taste almost exactly like the McDonalds burgers …only better! I wish these had been available then, because I gladly would have eaten them instead. If you like chicken sandwiches (or if you used to when you ate meat), definitely give these a try. They taste just like chicken, but with no cruelty or cholesterol! The name says it all! If you love ice cream (and who doesn’t?! ), then this vegan ice cream is definitely worth a try. It’s so yummy and it tastes just like dairy ice cream — except no cows were harmed to make it! There are several different flavours of So Delicious ice cream — including chocolate, vanilla, and cookie dough. My favourite flavour is the Salted Caramel Cluster Cashew Milk Frozen Dessert. It’s seriously the best! With this stuff on the market, there’s really no need and no excuse to be consuming a product that was created from harming cows. When I found out that these were technically vegan, I was so happy! This is my favourite Doritos flavour! I never would have guessed that there’s not any milk (or any other animal ingredients) in these nacho chips. If you like Doritos and a bit of spice, definitely try these! Another one of my favourite foods before going vegan was the Smart Food white cheddar popcorn. This was one food that I knew I would miss after going vegan. But, then I found the Skinny Pop White Cheddar Popcorn! It’s so great that there are delicious vegan alternatives to most of the snack foods that I loved before going vegan! If you’re looking for some delicious vegan caramel popcorn, definitely try Cracker Jack! I love caramel corn — which usually contains butter, so this is another snack food that I was surprised contained no animal ingredients. This is definitely a good little sweet treat and it’s readily available at most grocery stores! I’ve loved these “curly fries” ever since I was a kid. My mom would buy them as a treat every once in a while to snack on during a movie night at home. A lot of frozen fries are actually vegan, but these are the best. They have really tasty spices on them and the fact that the fries are curly is just fun! When I was a kid, I absolutely loved chocolate milk, but that was long before I knew about the cruelty involved in the dairy industry. A few years ago (before I went completely vegan), I decided to give chocolate almond milk a try…and ever since then, I haven’t consumed any chocolate dairy milk. This dark chocolate almond milk doesn’t taste exactly like chocolate dairy milk, but honestly I’ve become so used to it…I actually like it better now. It’s a perfect drink for when I want a bit of a chocolate fix! I first tried these meatless bbq wings a couple years ago around New Year’s Eve. I was shocked at how much these tasted like the real thing. These chick’n wings are a great alternative to real chicken wings — but there’s no cruelty involved! Chocolate is a bit more difficult to find in a vegan form. The majority of chocolate in stores is not vegan, unfortunately. There are some vegan alternatives, but they’re not really in abundance. I’ve always loved chocolate so much, and because there’s not always a large selection of vegan “milk” chocolate, I’ve really gotten into dark chocolate! I’ve always love Lindt chocolate, and this dark chocolate is no exception. Dark chocolate is a bit more bitter than milk chocolate, but I still really like it! Plus, I believe dark chocolate has some health benefits! Bring on the healthy chocolate! It was only a few years ago that I tried my first ever samosa…and ever since then they’ve become one of my favourite foods! Fresh samosas are always best, but I really like the simplicity of being able to keep these in the freezer and take out a few when I feel like having a samosa! It’s so easy to be a vegan today! Every taste and every texture of food is still available to us, but with no animal cruelty involved! As you can see, there are vegan alternatives to a variety of non-vegan foods! I definitely wouldn’t not be vegan now! Not with all the delicious vegan foods on the market! Side Note: Always be sure to read the ingredients list to know if something is 100% vegan (including the ones I’ve listed). Ooh these all sound delicious! 🤗 I personally love Skinny Pop popcorn and So Delicious ice cream. I’ve tried Silk’s regular + vanilla soy milks but haven’t tried the chocolate one yet. Definitely adding it to my shopping list next time I go to the grocery store. So many great ideas! Thank you! I also LOVE vegan cookies! They’re so simple to make…and they taste just as good!